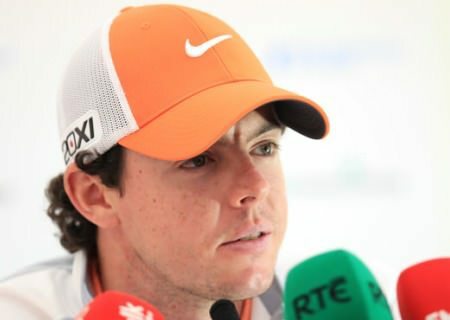 Rory McIlroy is looking forward to the “buzz” of the new look 3 Irish Open and his first event on home turf this season. But the lure of European golf is not the only home comfort the Holywood hotshot has on his mind as he heads to Baltray for what he hopes will be a birdie bonanza. 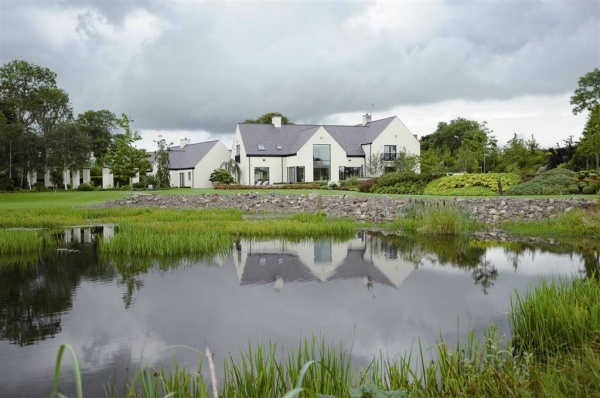 With a move to the PGA Tour firmly knocked on the head for the next few years, McIlroy has splashed out £GB 2.2 million on a new, 13-acre pad at Moneyreagh, just a 20 minute drive south of Belfast. The future Chez McIlroy?Excited about the prospect of building a driving range and swing studio that will put him in the same league as Padraig Harrington, he said: “I never thought I’d have made enough money to do something like that. I’d been looking at land for a while and this place came up. It’s perfect. McIlroy bought himself a five-bedroom house near his family home shortly after he turned professional in 2007. But he has rocketed up the world rankings since then, winning the Dubai Desert Classic and racking up more than €2.5 million in tournament earnings in just 20 months as a professional. He has also signed sponsorship deals with Dubai based Jumeriah Hotels, equipment giants Titleist, shoemakers Footjoy, construction company Bennett and financial gurus FL Partners. Not only that, he represents the luxury Lough Erne Resort in Fermanagh as its touring professional and will play a $300,000 exhibition match against Harrington - dubbed the Duel on the Lough - on July 22. He has a house there too, as well as the use of a villa in Dubai, but his plan is to keep his feet on the ground and stay close to his Ulster roots for the next few years before taking on the PGA Tour. Explaining his plans for his dream home he said: “It’s still in the process. But we have agreed everything and it will be a done deal on July 31 and hopefully it will be ready by next spring. “It’s 13 acres, there’s already a house on five acres and then there’s two four acre paddocks and one of the paddocks is perfect. Harrington spent a fortune on an indoor golf room and a floodlit outdoor practice ground with multiple greens he calls “Elysian Fields” at his palatial Rathmichael home in south Dublin. He explained: “I’ve got enough room to do everything. I’ve space for a separate short game facility and a 280-yard driving range. Basically everything. “I’m actually going to use the guys that built Lough Erne to build the range. They are going to come and have a look at what I have and will design a place for me. So I don’t think it’ll cost astronomical prices. “As for the house where I currently live, I’m not sure. The way the current market is, I’ll probably keep it for a while until it comes back again. “The great thing about this place is that there’s more than enough room to bring a lot of people over. McIlroy’s focussed on Europe right now and the 3 Irish Open is the second event in a four tournament run that will take him to Wentworth for next week’s BMW PGA Championship and the European Open at the London Club. After missing the cut by seven shots in the Players Championship at Sawgrass, he's seen enough of the US for the moment and will only return for the Majors and World Golf Championships this season. Speaking in Florida, he said: “I don’t see myself playing over here full time. I don’t see myself taking my card here, to be honest. I wouldn’t mind playing my World Golf Championships and my Majors over here and that’s it. I feel more comfortable in Europe. McIlroy experience a massive high at the Masters but found the atmosphere flat in Hilton Head the following week and was stuck at the back of the field at Sawgrass and failed to perform. Rory McIlroy got his buzz back with a three-mendous comeback performance at blustery Baltray. Rory McIlroy is looking forward to winning “a few” Irish Opens before he finishes his career. Picture by Getty Images.World No 1 Rory McIlroy today paid tribute to the “incredible” home fans who make the Irish Open so special – and admitted that he would love to win “a few” Irish Opens during the course of his already glittering career, writes the European Tour. 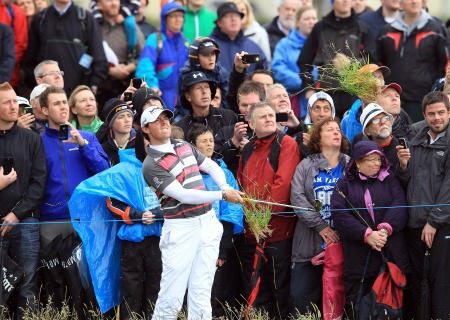 Rory McIlroy confessed that he’s felt suffocated by high expectations from Irish fans at the Irish Open. 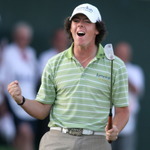 Picture: Fran Caffrey / www.golffile.ieFrom elation to frustration. From euphoria to suffocation. Eight years after he teed it up in his first Irish Open as a wide-eyed 16 year old, the ink barely dry on his driver’s licence, Rory McIlroy returns to the Irish Open as a 24-year old megastar bearing the scars of responsibility and pressure.